WHY IT IS IMPORTANT TO MODIFYING OR SHIFT OUR BRAINWAVES? WHAT STOPS OUR BRAIN TO BE IN UNBALANCE STATE. 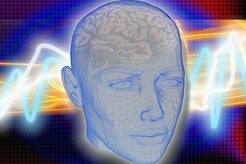 What are the benefits of modifying or shifting our brainwaves? We need to be able to shift our brain activity to match what we are doing. At work, we need to stay focused and attentive and those beta waves are a Good Thing. But when we get home and want to relax, we want to be able to produce less beta and more alpha activity. To get to sleep, we want to be able to slow down even more. So, we get in trouble when we can't shift to match the demands of our lives. We're also in trouble when we get stuck in a certain pattern. For example, after injury of some kind to the brain (and that could be physical or emotional), the brain tries to stabilize itself and it purposely slows down. (For a parallel, think of yourself learning to drive - you wanted to go r-e-a-l-y s-l-o-w to feel in control.). But if the brain stays that slow, if it gets "stuck" in the slower frequencies, you will have difficulty concentrating and focusing, thinking clearly, etc. So flexibility is a key goal for efficient and healthier brain functioning. 5 brainwaves produce different type of feelings and state of consciousness in people. A person, who is in meditation, can have any experience related to alpha, theta or delta brainwaves. When a person meditates, he finds himself in a relaxed and clam state. On a brainwave level he reaches alpha state of consciousness. As the meditation deepens he finds himself more calm and focused and his brainwave levels reaches to theta (and finally to delta) state. So if a person is not able to meditate owing to some reasons, can’t we induce some extra stimulus in his brain to make him reach an alpha or theta level? If we can do this by using some method, we will be able to make that person calm and serene by altering his brainwave level to an alpha, theta or delta level. This way the person will experience the same kind of feelings as he would do on meditating in a traditional way. This in one way means, an end to the meditation ritual. An end to our vows of not finding enough time for meditation or our inability to maintain a regular meditation routine. Extending the same corollary, the similar effect of a hypnotic state, deep sleep, relaxation etc can also be produced using external stimulus. So is it possible to bypass meditation altogether and adopt a quick and fast way to achieve a desired brainwave ? Well the answer is yes and no. Yes. It is possible to bypass meditation and use an automatic tool to achieve a meditative state. In is very much possible to achieve a Non Ordinary State of Consciousness (NOSC) using the methods you will learn in this section. However, having said that, I also want to clarify that on the basis of my long experience as a practitioner of traditional meditation techniques, I can say with full confidence that no machine, no matter how much powerful or fast it is, can ever make the traditional methods of meditation needless. The human brain is one of the most complicated and mysterious things in the world. We have just explored a very little of our brain. Still we are far from understanding the functioning of the human brain. Though many studies have been made with very positive results indeed, it will be too early to say that meditation is nothing but a change in our brainwaves. Brainwaves level are just one indicator of what actually happens in meditation. Though with the help of using brainwaves you can attain a meditative state for you immediate benefits, for a long and permanent spiritual growth you will need to stick to a traditional meditation path. Binaural Beats shall provide you some excellent results often instantly which will help you in many ways. However, for a permanent life changing spiritual focus, you need to use traditional meditation methods as your primary tools. Let us understand now, how we can alter our brainwaves to produce a Non Ordinary State of Consciousness (NOSC). It has been scientifically proven that brainwave’s frequency in our brain can be altered to a desired frequency using specialized sound waves. In other words, using specialized sound waves as external stimuli, we can alter our brainwaves frequency to an alpha, beta, theta or delta level which are considered as the brainwave levels of meditation and other spiritual phenomena. (1) How any external sound can alter our brain wave frequency? We listen so many sound everyday. All of them must have an effect on our brainwave. Then how come a particular sound of a particular frequency will bring change in our brainwave’s frequency? (2) The frequency of alpha, beta, theta and delta are in the range of 1 to 30 Hz whereas human ears are capable of listening to sounds only within the frequency range from 20 to 20,000Hz . So how can we listen an external sound that produce an effect within 1 to 20 Hz to attain alpha, theta or delta level of conscious? IMPORTANTANCE TO MODIFYING OR SHIFTING OUR BRAINWAVES? In general, we are accustomed to being in the beta brain rhythm. We are in a Beta brainwave pattern when we are consciously alert. It is the default and dominant brainwave for most of us most of the time. We are in Beta when we feel agitated, tense, hurried, pressured, afraid and stressed. The frequencies range from 13 to 60 pulses per second in the Hertz scale. When we alter our brain rhythm to alpha, we are slowing our brainwaves down. The benefit of this is that we put ourselves in the ideal brain state for optimal performance and super learning.We become better at analyzing complex situations, learning new information, memorizing data, and performing elaborate tasks. Some forms of meditation, relaxation exercises, and activities that enable a sense of calm, also naturally create this alpha state. According to neuroscientists, the effect of decreasing the brain rhythm from beta to alpha via deep relaxation techniques and the use of binaural beats brain entrainment, changes the levels of certain beneficial brain chemicals. Studies show that alpha states significantly increase beta-endorphin, norepinephrine and dopamine. These naturally occurring chemicals are linked to feelings of expanded mental clarity and generate an internal environment for new learning and accessing previously learned information. This positive effect lasts for hours and even days. We want our brain to be both flexible - able to adjust to whatever we are wanting to do ,able to go with the flow. To do this, it needs access to a variety of different brain states. These states are produced by different patterns and types of brain wave frequencies. For general health and wellness purposes, we need all the brain wave types, but we need our brain to have the flexibility . WHAT STOPS OUR BRAIN FROM HAVING THIS BALANCE ALL THE TIME? These 6 types of problems tend to create a pattern in our brain's activity that is hard to shift. In chaos theory, we would call this pattern a "chaotic attractor". Getting "stuck" in a specific kind of brain behavior is like being caught in an attractor. Even if you aren't into chaos theory, you know being "stuck" doesn't work - it keeps us in a place we likely don't want to be all the time and makes it harder to dedicate our energies to something else.